Background/Purpose: Corticosteroids (CS) are the mainstay of childhood-onset lupus (cSLE) and proliferative lupus nephritis (LN) therapy. However, there are no widely accepted CS dosing regimens for LN. We aim to identify the CS treatment approaches employed by providers for newly diagnosed pediatric proliferative LN in response to common and challenging clinical scenarios. 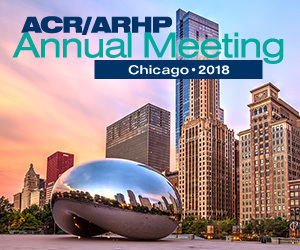 Methods: Pediatric rheumatologists and nephrologists attending the 2018 Childhood Arthritis and Rheumatology Research Alliance (CARRA) meeting participated in a working group addressing CS use in newly diagnosed pediatric LN. Participants responded to 3 scenarios in live polling and 12 questions of CS management in small groups. A post meeting survey was sent to each participant. Results: In total, 51 physicians participated in the working group and 25 answered the survey. Of the 51 participants, 42 (82%) reported prednisone to be the oral CS of choice to treat newly diagnosed pediatric LN and 64.7% favored liquid prednisolone if swallowing pills is problematic. Once daily dosing was the preferred regimen (15/25, 60%) to help patients with adherence. Some (8/25, 32%) use a twice daily regimen for prednisone doses >2mg/kg/day or 60mg. A 3-4 times daily regimen was considered for hospitalized patients with severe disease manifestations by 6/25, 24%. Factors leading to the use of intravenous (IV) pulse methylprednisolone during the initial 12 months of therapy for proliferative LN are shown in Figure 1. Laboratory results prompting a CS dose change are shown in Table 1 (Panels A/B). Side effects such as weight gain (20/25, 80%), difficult to control blood pressure (19/25, 76%) or hyperglycemia (21/25, 84%) were reported as reasons to taper CS. In patients with inactive LN on mycophenolate mofetil, the extra-renal features that prompt an increase in CS are new/worsening neuropsychiatric disease (24/25, 96%), cardiac (23/25, 92%), or pulmonary involvement (23/25, 92%). In cases of non-adherence, all physicians would discuss reasons for non-adherence with 72% choosing to start/increase the frequency of IV steroids. Conclusion: Prescribed CS dosing regimens vary widely in the U.S. when used for the treatment of children with proliferative LN. Decisions on initial CS dosing regimens and subsequent management strategies remain provider dependent. Disclosure: N. Chalhoub, None; J. Deng, None; N. M. Ruth, None; S. P. Ardoin, None; M. Gilbert, None; T. Hennard, None; L. Hiraki, None; P. T. Jensen, None; A. M. Knight, None; R. Kunder, Gilead Sciences, Inc, 3; L. Lewandowski, None; S. H. L. Lim, None; A. Merritt, None; S. I. Savani, None; M. B. Son, None; E. von Scheven, None; S. E. Wenderfer, None; H. I. Brunner, None. Chalhoub N, Deng J, Ruth NM, Ardoin SP, Gilbert M, Hennard T, Hiraki L, Jensen PT, Knight AM, Kunder R, Lewandowski L, Lim SHL, Merritt A, Savani SI, Son MB, von Scheven E, Wenderfer SE, Brunner HI. Steroid Use in Pediatric Proliferative Lupus Nephritis [abstract]. Arthritis Rheumatol. 2018; 70 (suppl 10). https://acrabstracts.org/abstract/steroid-use-in-pediatric-proliferative-lupus-nephritis/. Accessed April 18, 2019.